Wonder Woman in all her Amazonian glory! 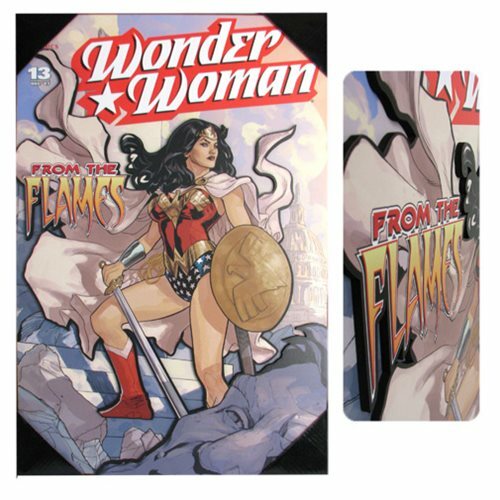 Straight from the cover of the Wonder Woman comics, this Wonder Woman Flames 3D Wood Wall Art measures approximately 19-inches tall x 13-inches wide. It features a sawtooth metal hanger on the back and comes ready to hang. Ages 14 and up.